Eye q is a combination of the specific omega 3 and omega 6 fatty acids required for optimal eye and brain function, delivered in the form of high grade natural oils. We don't use the word 'natural' lightly: in processing and selecting our oils, we ensure that only pure, natural form fatty acids are used. The main reason for this specification is that many who take eye q are youngsters, and so we believe this makes it even more important that there are no synthetic or artificial elements within the formulation. When we made the formulation, we looked closely at the research showing that fatty acids do play a vital role in the development of vision, co-ordination, learning ability, memory and concentration. To reflect this work, we combined the highest possible natural source of omega-3 EPA, in the form of a particular marine lipid, with omega-3 GLA, provided by first-press virgin evening primrose oil. 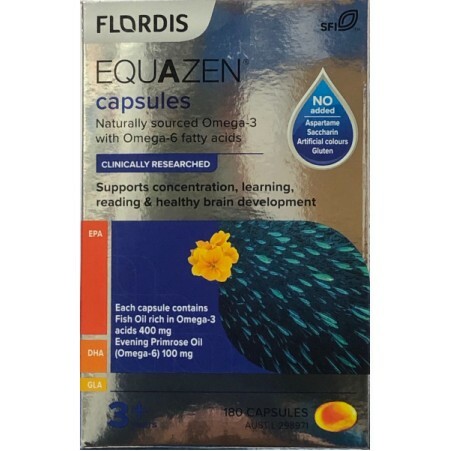 There is good evidence that this formulation delivers the optimum ratio of fatty acids for eye and brain function. Testimonials from parents, children, in fact any age, have indicated real benefits in mood and concentration. eye q has become the supplement of choice in the UK and leading European markets for anyone with concerns about fatty acid deficiency in learning and behaviour. Adults and children above 5 years: Take 2 capsules per day with food. 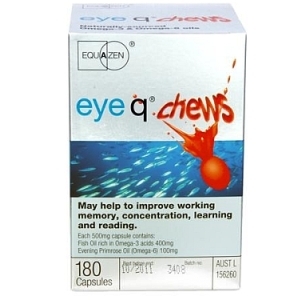 Taking eye q for the first time, take 6 capsules per day with food for 12 weeks. These levels of consumption reflect studies which show that it can take about 12 weeks to build up the body's stores of long chain fatty acids.